Washington, D.C. — The American Iron and Steel Institute (AISI) has published the findings from research conducted to support the development of a calculation methodology for determining the U-factors and R-values for wall assemblies containing cold-formed steel (CFS). The research project was conducted by Morrison Hershfield Ltd (MH) and involved detailed thermal modeling simulations of 27 steel stud assemblies which varied by insulation thickness, insulation placement and steel stud depth. 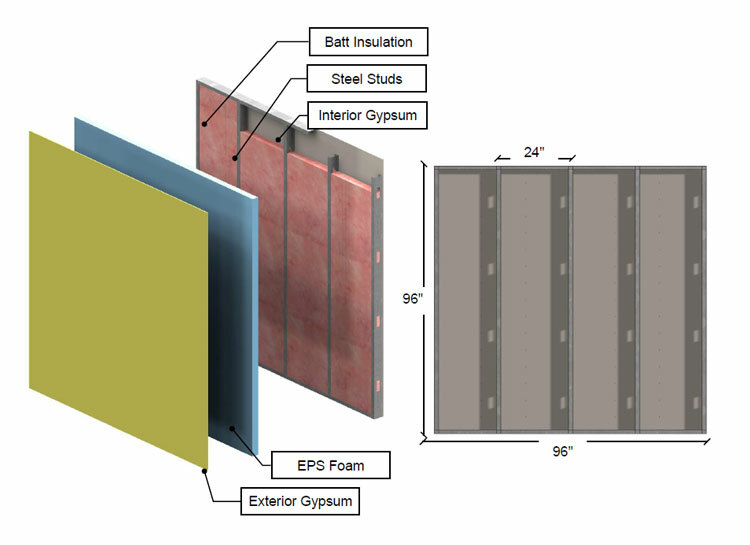 A summary of the project, findings and analysis are published in “RP18-1: Thermal Analysis of Cold-Formed Steel Wall Assemblies.” A free download is available at http://www.buildusingsteel.org/~/media/Files/SMDI/Construction/CFSD – Report – RP18-1.pdf (52 pages). To make cold-formed steel design more efficient for building construction professionals, AISI is in the process of developing a consensus standard that contains simplified calculation methodologies for determining the thermal performance of generic cold-formed steel assemblies. Current methodologies for making these calculations vary depending on the code, standard or guide being used, and this consensus standard is intended to serve as the primary source for evaluating the overall thermal resistance of cold-formed steel-framed assemblies. The methodologies can also include either simplified hand calculation methods or more complex methods such as hot box testing, 2D and 3D thermal modeling approaches that may not be widely available or practical to conduct in every situation.